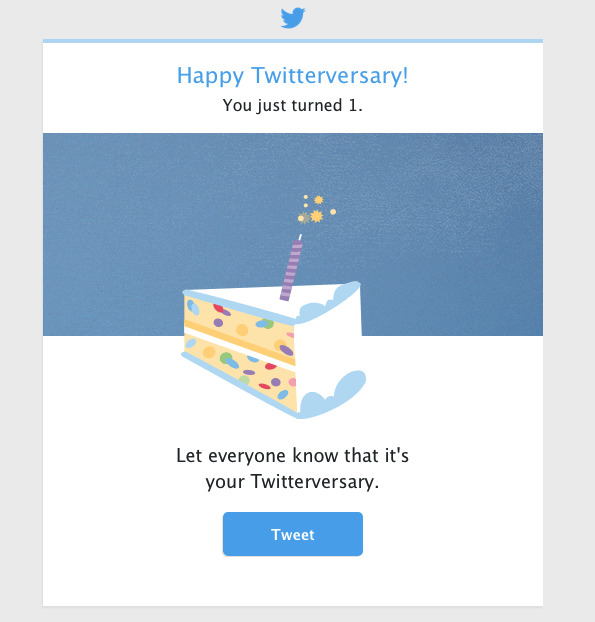 I got an email from Twitter this morning wishing me a Happy Twitterversary. I didn't really start using it actively until March and I'm happy for all the friends I have made on there. A year later and I'm still pretty into it. Lots of fun and things to see and opinions to share in 140 characters or less. If you have been thinking about joining, go for it! Then we could have the same Twitterversary!